Like any car, Hondas start to show signs of wear over years of use. These simple restoration projects will transform your Honda and make it look brand new. German statesman Helmut Schmidt once said, "The biggest room in the world is the room for improvement." If you've some extra money and time to blow, why not spend it upgrading and improving the car you love? 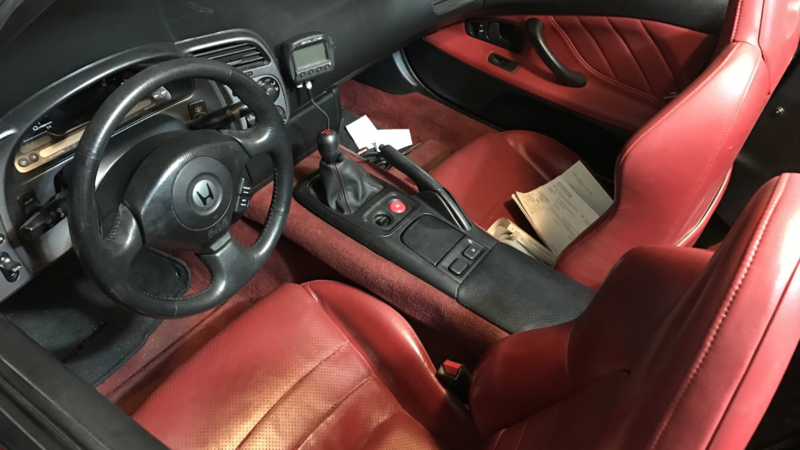 But not all improvements are created equal and if you have decided that you want to restore your S2000, you do need to consider what projects will add job and value, and which are not worth the price of admission. Here are a handful of easy to accomplish mods that once you do you'll wonder why you suffered without for so long. Having clear headlights is often overlooked in a restoration project. However, when you naturally judge the exterior of a car, yellowing headlights stand out like a sore thumb. If your headlights are slightly yellowed, they might be able to be rescued by a headlight restoration kit. However, cracked or headlights with fogging inside will need to be replaced. 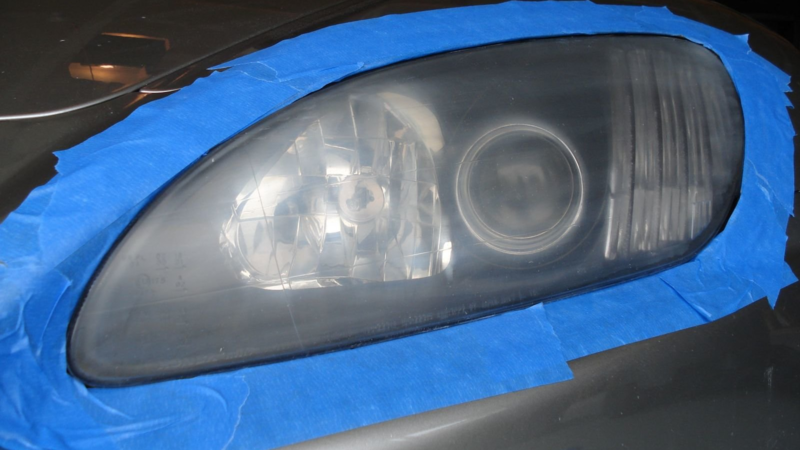 To restore the headlights on your S2000, please see Headlight Restoration in the S2Ki.com forum. >>Join the conversation about restoring your Honda S2000 right here in the S2Ki.com forum. 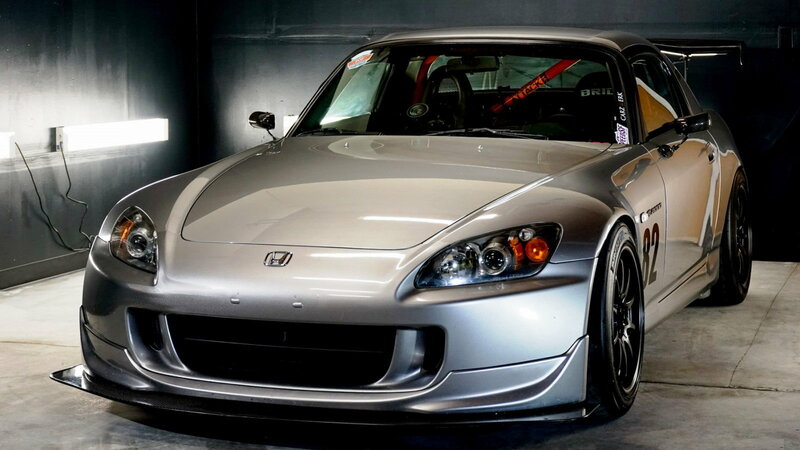 Replacing your window trim and weatherstripping is easy and transforms the look of your S2000. Many times, the window trim starts to flake and the weatherstripping starts to harden. This could lead to water entering your car during rain and wind noise during normal driving. Make sure you buy OEM quality parts, as cheap replacements are available but often do not fit correctly. To replace your window stripping, please see DIY: Door Window Moulding in the S2Ki.com forum. 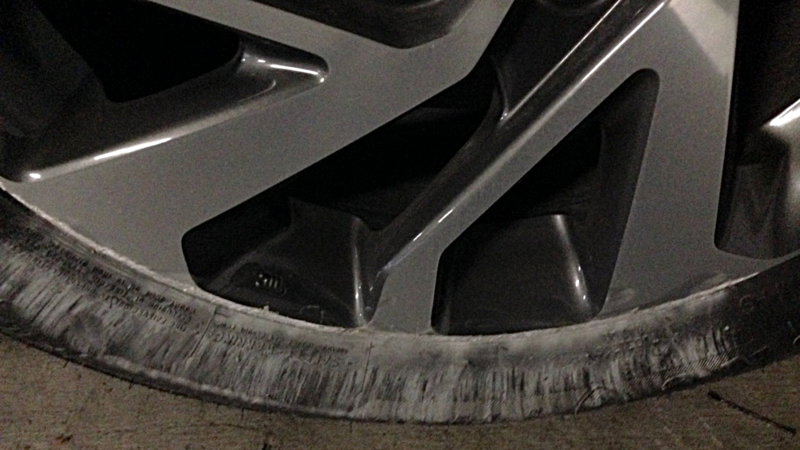 Over time, wheels will naturally accrue curb rash and other imperfections. Often, wheels are the focal point of the side view of your car so new wheels will make a huge difference. 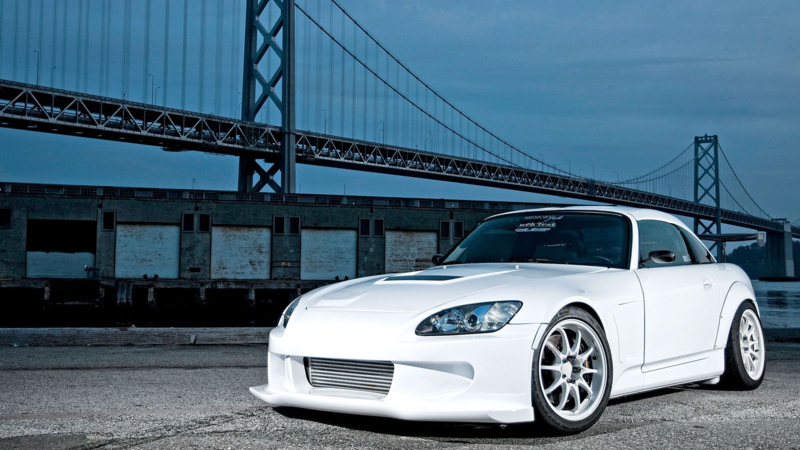 If new wheels are not in the budget, then painting or having your wheels restored can transform the look your S2000. OEM wheels will maintain the showroom look, while aftermarket replacements can make your car look more unique. To restore your wheels, please see How to Repair Curb Rash on Wheels in the S2Ki.com forum. Restoring your interior trim is easier than you think. Often times, interior plastics are scratched or have peeling paint. Therefore, a can of matching color interior paint will restore your interior trim to like-new condition and make your interior look much better. To restore your interior trim, please see Restoring the trim in the S2Ki.com forum. 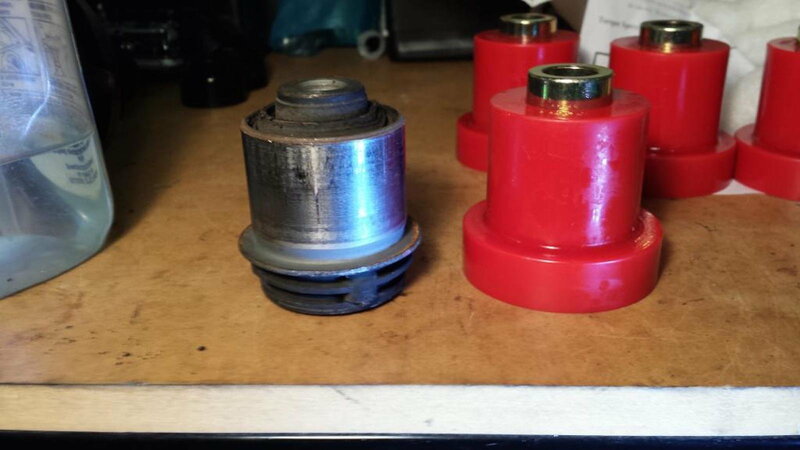 It seems this is an intermittent problem that may affect your car, but given the age, instead of waiting for it to happen, use this fix to prevent that rattle from even appearing. The complete DIY instructions can be found on the S2ki forum here. There’s also a Honda TSB out for fixing this problem, which can be seen here. The main fix, besides just greasing the latch with the recommended Shin-Etsu Grease, is stuffing in some EPT Sealer 3T tape which acts as a sound deadener. All this shouldn’t cost more than a few bucks (though a roll of EPT is $30 you only need a few inches) and take should take less than thirty minutes to do. 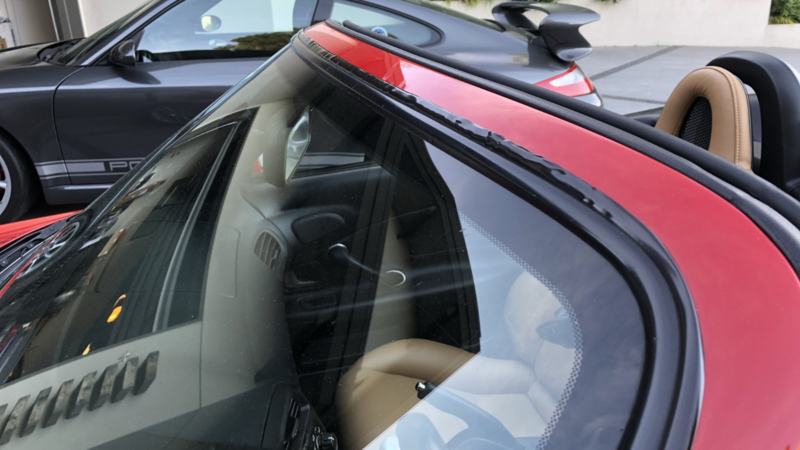 If you want to replace your problematic roof latch, one forum member recommends HeelToe Auto's locking latch button, which is designed to stop any break in from the top. Check out the locking latch button right here. Prothane Polyurethane Bushings are an excellent way to tighten things up, without ruining the ride completely. 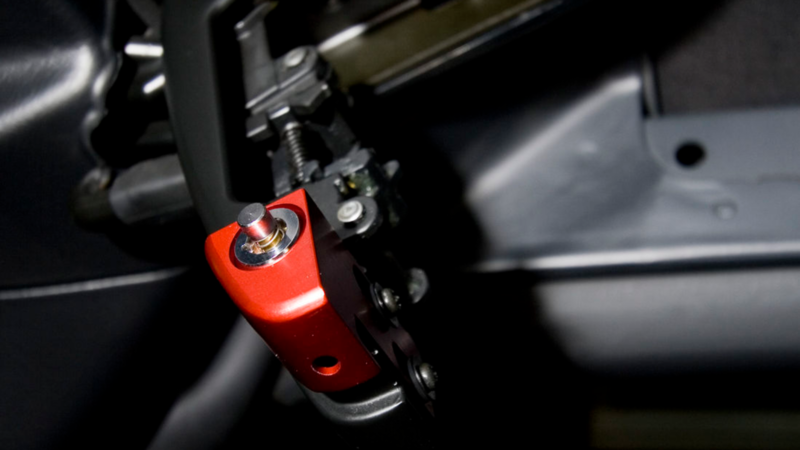 These bushings are cost effective, will better connect drivers to the feel of the road and durable – if properly maintained. The stiffer design offers S2K drivers more road feel, as it lessens the suspension deflection over bumps and corners, and put more energy into the dampers where it can be controlled. Those interested in pursuing this upgrade, be sure to use the proper tools to remove and install them, as a poor installation can give negative results. Also, not all aftermarket bushings are an upgrade, as Dead Serious mentions in his DIY and review, the OEM sway bar bushings look to be better than Prothane's. This is an easy weekend project, but you will need a hydraulic press. 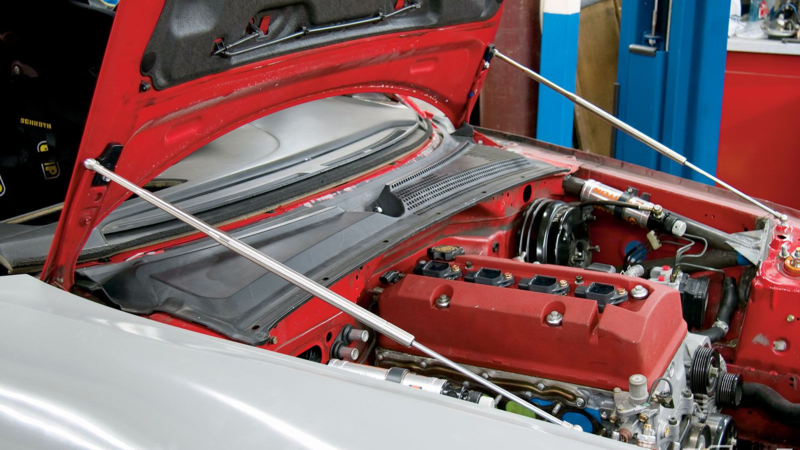 If you’ve ever had the experience of knocking a hood prop bar loose and experiencing the sensation of regret, anger, and frustration that follows – then you can see how valuable this little mod can be. Installation is pretty simple, too, provided you have a buddy to help you, or have 4 arms. Many aftermarket companies sell them, and performance doesn’t change much, though the longevity does. However, there are some pretty heavy price differences, with generic eBay kits averaging around $70, while name brands can reach up to $200 a set. For Might Car Mod fans, you can find the complete DIY video here. To replace your hood dampers, please see DIY $13 Hood Dampers in the S2Ki.com forum. There's nothing like popping open your hood and looking at a crisp clean engine bay. Unfortunately, for those of us, with older cars, oil leaks, dirt and grime can easily become the norm, so get out the cleaning and detailing kit. With a few hours and the right chemicals and brushes, you can make the engine bay look like new again. Engine dress up doesn’t have to be extravagant either. Small things like custom oil caps and intake covers can really make an engine bay pop. Colored silicone hoses, are both an upgrade and fun aesthetic component. You can also relocated some simple components, like the battery and horn, to clean up the look. 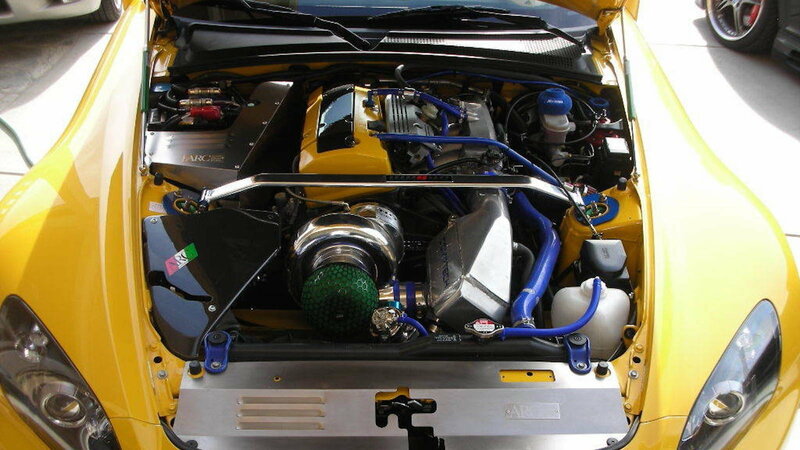 To clean your engine bay, please check out How To Clean Your Engine Bay right here in the S2Ki.com forum. The company calls this a splitter, but whether or not it actually provides aero benefits, it will keep your painted factory lower lip from hitting the curb first. Being frugal minded, I appreciate this mod, and do think it adds a little finishing touch to the look of the front of the car. The EZ Lip kit is very similar to the garage door strip mod, except is prepackaged, cut to size and ready to mount. It’s also only about 10 bucks more than the garage seal lip from Home Depot. There’s also the new EZ lip pro, which is for slammed cars and made to be a bit more durable than the original, although its about double the price. To add an EZlip splitter, please see EZ Lip Splitter in our s2ki.com forum. If you want to do more than add a front end splitter, you could add new exterior ground effects or even a wide body kit to your car, transforming it into a mean-looking racing machine. These parts are subject to rock chips and damage from collisions so if you are looking for used parts, check your local forums and classifieds to see if you can find replacements that are painted the same color to make this process much easier. Good luck with your restoration project! For more information, check out The ABC's of Body Kits and Ground Effects right here in the S2Ki.com forum.